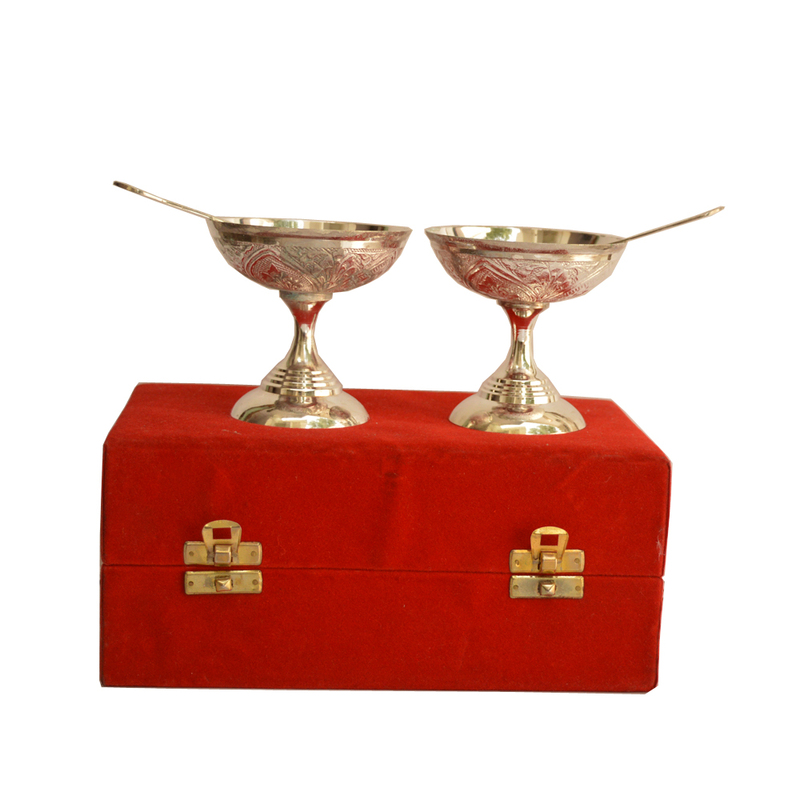 The exquisite beauty and fine finish present on this Pair of German Silver Ice-cream Bowls with Spoons makes it suitable as cutlery pieces for serving Read More..dessert in the most sophisticated of dining tables. The design work present on the body of the ice-cream bowls makes them a pleasure to behold, while the matching spoons ensures aesthetics of the highest degree, as well as, utmost functional use. This pair is for the most discerning of buyers when it comes to cutlery pieces. Show Less..